If you are in need of a new water heater our plumbers will help you with any or all concerns you may be having to install a new tank or hopefully repair your old one. If you are needing a plumber for anything else about your water heater just call. We will have one of our top techs there ASAP and get your hot water back on so you can get back to normal. We all know that not having hot water on demand can be a real pain and very inconvenient to say the least and our experts at Academy Disc Plumbing & Repair are the best in town at what they do. We will make sure you get the best water heater that money can buy. Very few of us will ever worry about their Water Heater unless they are running out of hot water. Then we will finally have to start making some decisions whether or not we will have to replace or hopefully repair the water heater. With all of the options that we have available to us today with regular water heaters or maybe solar and tank less we have a lot to chose from. They are made a lot more efficient today. Even in just the last few years. You will want to explore all the alternatives and get the best buy for the money. The price for a unit has tripled in just the last ten years. Hopefully you will take into consideration several important points when buying your next one. The units today are built to a higher quality and energy standards. Bradford white is the brand we always use and It is the best quality and the best buy for the money. It is usually best practice for the plumber that installed your Oklahoma City Water Heater to be the one that you turn to just in case there is a warranty issue. You need to have reputable plumbers to do the work just in case of a problem with your tank. It will always be covered with the warranty from the company that manufactured your tank. Not all contractors will do warranty service on the tanks that they install so be sure to ask them who to call if there are any issues. Academy Disc Plumbing & Repair will always provide any warranty service that is required. We will never send you to someone else. Academy Disc Plumbing & Repair customers are high priority and we would never send them somewhere else to get their tank warranted after we install it. We offer a full one year warranty on labor in any new installations. Just give us a call and we will take care of any of your questions or concerns that you may have. Most tanks come with a six year warranty. You can purchase a longer one on some brands..
Gas, Water Heaters in Oklahoma City are rated from .54 to .62. This all will depend how much insulation they have and also the capacity’s of the units. .62 rated Water heaters running on gas are very efficient and will save you money year by year on the amount of money it takes to run but will cost you a little bit more money. They are taller, have a larger circumference and they sometimes will not go in where your old tank went but you should find out first because they will save you money . You can save a little by wrapping your water heaters with vinyl back insulation. Especially if it is electric. Electric models come in a variety of sizes in the same gallon capacity. They have low boys for applications such as under the counter installation. They also have a medium size and a taller size. You do have a larger choice in sizes for electric however they will cost more money for the same amount of hot water as a gas tank. First hour rating on Water heaters will let you know the amount of water they will supply during the very first hour on demand. [The water that is already heated up and the amount of hot water that will be produced while in use for the first hour]. This FR rating will be useful in realizing the amount of hot water you will have on demand compared to the amount that you might need at a certain time. The higher the FR rating the better your water heater will be able to recover. So the better the FR rating you have the quicker the water heater will produce more hot water. When you are running out of or not having enough hot water fast enough you will want to upgrade to a larger unit when you need to replace your Water Heaters. 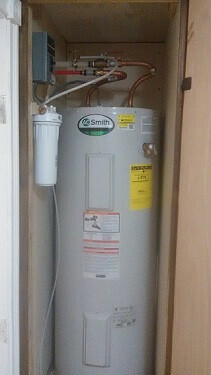 If you are looking to purchase a new water heater and need someone to install it and do the job right. Be sure and give us a call and we will take care of you problem today and make sure you have hot water again as soon as possible. 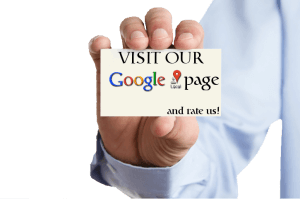 Be sure and check out some of our reviews.